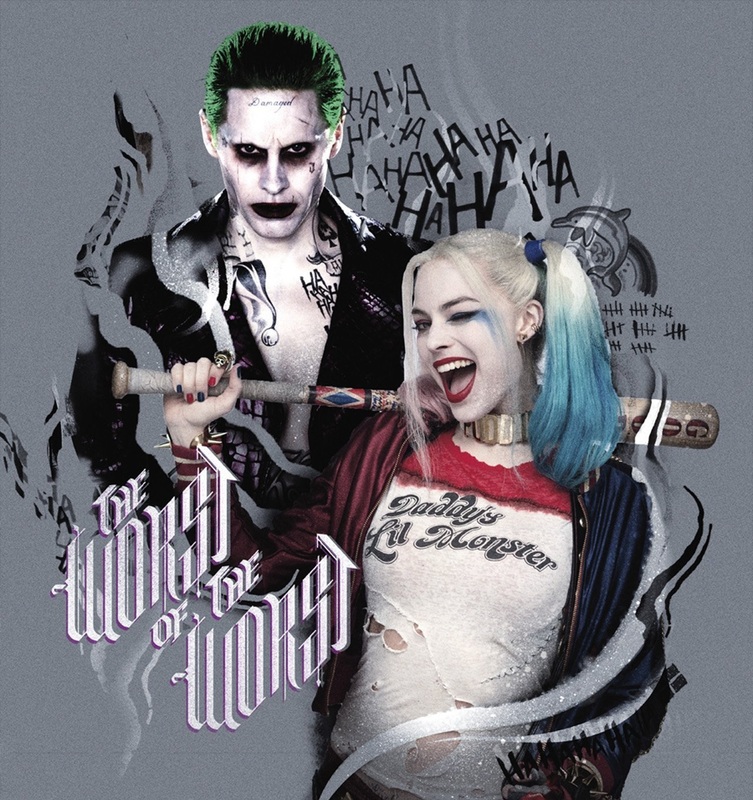 Harley Quinn Joker. . HD Wallpaper and background images in the Suicide Squad club tagged: photo. This Suicide Squad photo might contain signo, cartel, texto, pizarra, letrero, animado, cómic, manga, historieta, anime, and dibujos animados. Image credit and keywords are necessary so that a) you can't be accused of stealing, and b) people can find these images when they search. Please provide as much information as you can about every image you post to Fanpop.